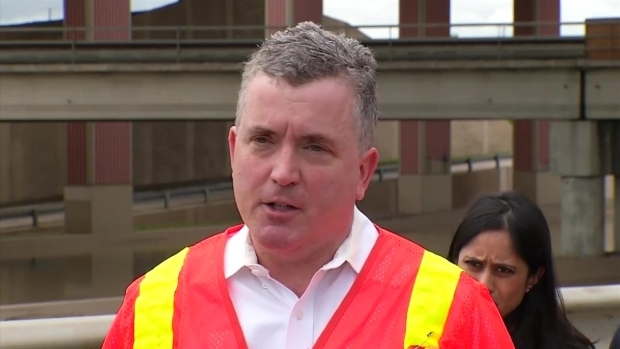 Dallas city officials say a stretch of Loop 12 between Irving Boulevard and Interstate 30 will be closed for the next several days due to flooding. Water began pooling along Loop 12 underneath the Interstate 30 overpass overnight Thursday, gridlocking dozens of drivers in both directions for up to six hours between parked cars and rising water. Texas Department of Transportation spokesman Tony Hartzel said a crane was brought in after 11 a.m. to remove a section of a concrete median so that motorists trapped in the southbound lanes could get off the roadway. The northbound lane had already been cleared. City of Dallas Public Information Officer Sana Syed said Friday that the city's flood control area was working, there was simply too much water to allow what fell to flow into the Trinity River. Syed said pumps are being brought to the area that will take the water from the roadway, over the levee and into the Trinity River. Motorists are encouraged to avoid the area through the weekend.